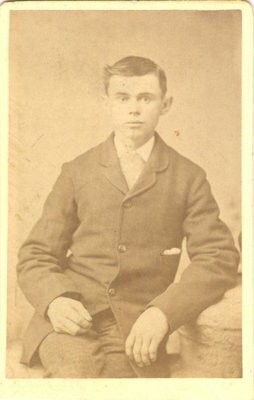 A photograph of a boy from the photo album of Amos Wright, resident of Richmond Hill. Thompson & Son photographers is listed as operating in Toronto, on 75 King St. East from 1882-1903. First-class work in all branches of Photography, and at moderate prices.